For Rafael Nadal it's all about perfectly aligned water bottles, labels facing out, naturally. For Naomi Osaka, it's eating New York bagels day after day after day. Even cool as a cucumber Roger Federer admits he fears missing the bus -- that's when he's not fretting about the significance of the number eight. 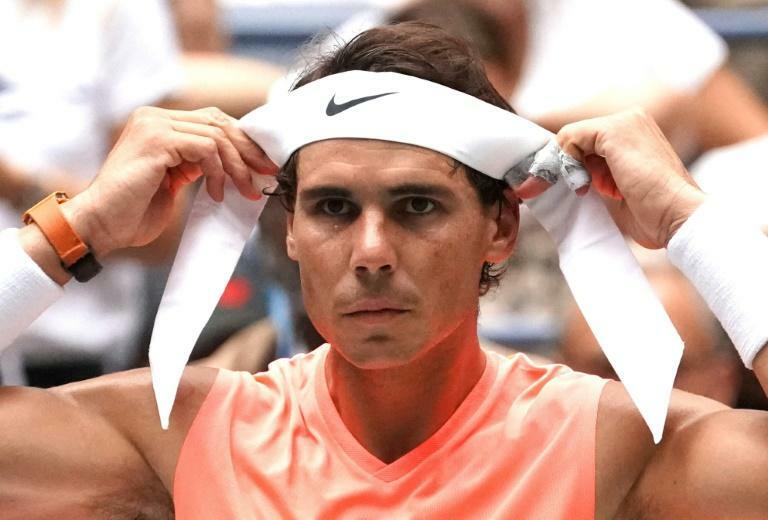 At the US Open, as with all Grand Slams, world number one Nadal performs what he calls "my routines". At every changeover, the Spaniard carefully spots his bottles on the court in front of his feet -- one bottle of water to his left and an energy drink to his right. The manufacturers can't buy that kind of publicity as the TV cameras focus on just one of Nadal's many career-long idiosyncrasies. There's his "square walk", where he avoids the tramlines, and his meticulous placing of one towel with one ballboy, a second with another. Before he serves, the 32-year-old will pick at his shorts, brush his eyebrows, caress his nose. Japan's Naomi Osaka is more concerned about her diet off-court than any on-court ritual. She made the fourth round with a 6-0, 6-0 bagelling of Aliaksandra Sasnovich which was appropriate for the 20-year-old who has been feasting on bagels in Manhattan. "I can't really be adventurous with what I eat because I get a little bit nervous," said Osaka. "So before my match, I always eat the same breakfast. I feel like I have eaten 500 bagels with smoked salmon." John Millman, due to face Federer in the fourth round on Monday, believes he may have suffered Obsessive Compulsive Disorder (OCD) when he was growing up in Brisbane. "When I was, like, 12, I was crazy. I think I was super, super OCD," he said. "Now it's more about just routines. I like to take my drinks in certain orders and all that. "I don't want to go back to when I was a little kid. I was really in my head back then." Dominika Cibulkova's on court habit of smelling the tennis balls may sound unappealing. But it has done the Slovakian no harm at all in New York where she defeated Wimbledon champion and 2016 US Open winner Angelique Kerber to make the last-16 for the first time in eight years. "I smell the new balls when I get them. It's something I do since I was little," explained the 29-year-old. "I used to put my racquets when I was changing them the same way. Now I just don't put them in the bag anymore." Federer says he ponders the significance of the number eight. "I'm born on the 8th of the 8th in '81. I like that number," said the 20-time Grand Slam title winner. But the player regarded as the greatest of all time has the occasional fear -- even if it's something as mundane as missing tournament transport. Appropriately for a Swiss, he says: "I just try to be on time, so I'm not late for my matches because I go back to the junior days where all of a sudden, it's, like, OK, where is this kid, Roger? "I'm always scared I'm going to miss a match because I'm stuck in traffic. I just like to be on time wherever I go." Federer insists he shares none of Nadal's habits. The 37-year-old doesn't mind stepping on lines, doesn't worry which side of the court he sits, which racquet he starts with, where his team sits in the player's box. "I can still play tennis," he said.